Home remodeling is big business. It accounts for about 40% of all residential construction spending and about 2% of the US Economy. From 2001 to 2005, spending on home remodeling grew 40% when it reached $215 billion in 2005. 2006 renovations reached over $230 billion in home remodeling expenditures according to the NAHB. Why so much money? Well, the boom was fueled by rising home costs along with lower interest rates and strong homeowner equity. After the new home construction bubble burst in 2006-2008 renovations increased again after 2009. In July of 2016, it had hit $445 billion. Is it worth the money to remodel my home? Overall the answer is "probably." The reason home improvement and remodeling is a $450+ billion industry is that people are finding value in home improvement projects. 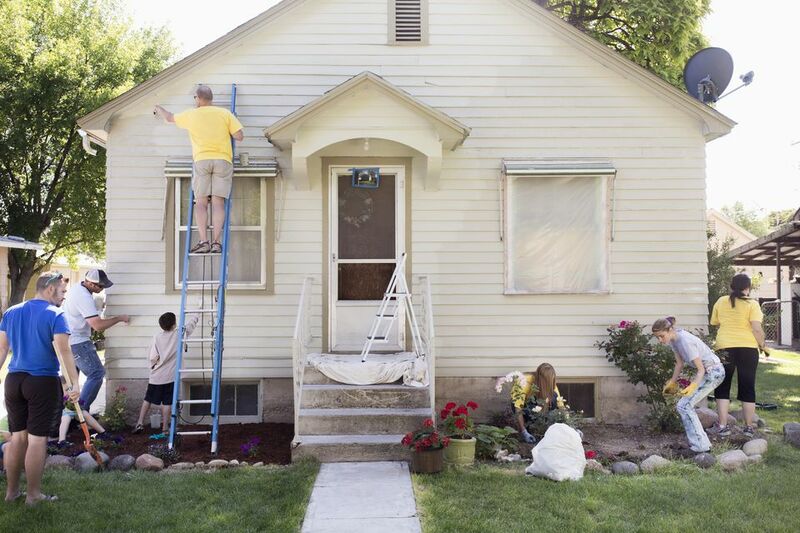 Your best returns will occur with “curb appeal” improvements. These are projects­ visible on the exterior like doors, siding, painting, windows, and siding. They often cost less than major remodels on the inside of the home but create curb appeal (and increased sales prices) and as a result, create a higher return on investment. You should not expect to fully recover the amount of the remodeling investment right away. Typically, you can expect between 80% and 90% back on your home improvement investment dollar, sometimes more, sometimes less, within the first year or two. With the proper remodel, you can increase and even make money on the improvement the longer you stay in the home. As with many investments, it’s the quiet power of compounding that creates good returns. By being in the home a longer period of time, you give the real estate market time to increase and you leverage the remodeling investment as property values grow. How your project impacts your home's appraised value. How long you plan to be in the home. How strong the resale market is in your area. Consider your stomach for disruption on major home improvement or repair projects. Sometimes you may have to shut the function of a room down for the repair or renovation. For example, a major kitchen or bathroom upgrade can disrupt your life for weeks to months at a time. A more simple upgrade that has about the highest cost-benefit ratio is upgrading a steel door to your home. According to Remodeling magazine, the steel entry door replacement project can recoup over 96% of its approximately $1,200 cost.